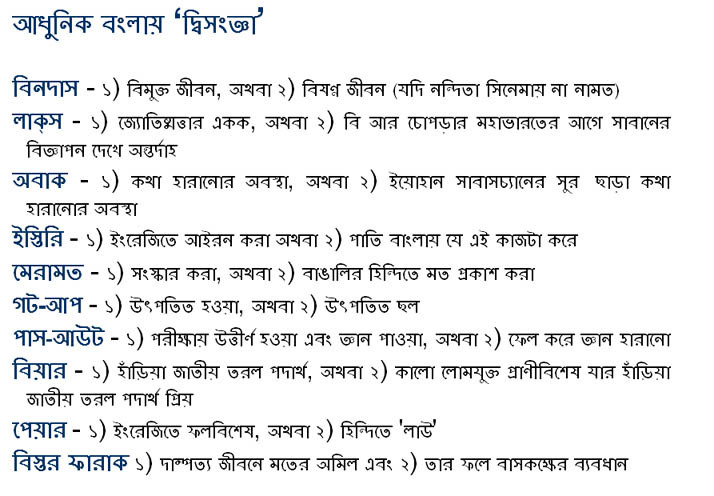 Some Bangla definitions previously posted on Twitter. This entry was posted in দ্বিসংজ্ঞা, বাংলা, Bangla, Bangla definitions, Bengali, Bengali definitions, culture by Anirban. Bookmark the permalink.